HappyFox lets you format your reply, bullet your instructions, insert solution articles, insert canned responses, attach files, bold/italicise important phrases and send your rich text replies to customers in 3 different ways. 1. Quick Reply from Preview Pane. Many a times, the ticket response to the customer may just require a single line answer, especially when you are on top of tickets assigned to you. In such cases, the reply option in the Preview pane for every ticket allows you to add a quick response to be sent right from the Ticket List page. 1. From ticket list page, click the line of content below the ticket subject line to open up the Quick Preview of the ticket. 2. At the bottom of the quick preview window, you would see the option to reply. 3. Type in the message in the rich text editor and do the necessary formatting. 4. Once you're done, click on Add Reply to update the ticket and send the reply to the customer. The options availabe in the text editor depends on the source of the ticket because certain channels, like Twitter or Facebook, don't allow formatted replies. 2. Reply from ticket details page. For adding a formatted detailed response and to update other ticket related information, agent can make use of the Add Reply option in ticket details page. Click on a ticket's subject to navigate to the Ticket Detail Page, at the bottom-left click on "Reply". This will bring up a detailed response section. 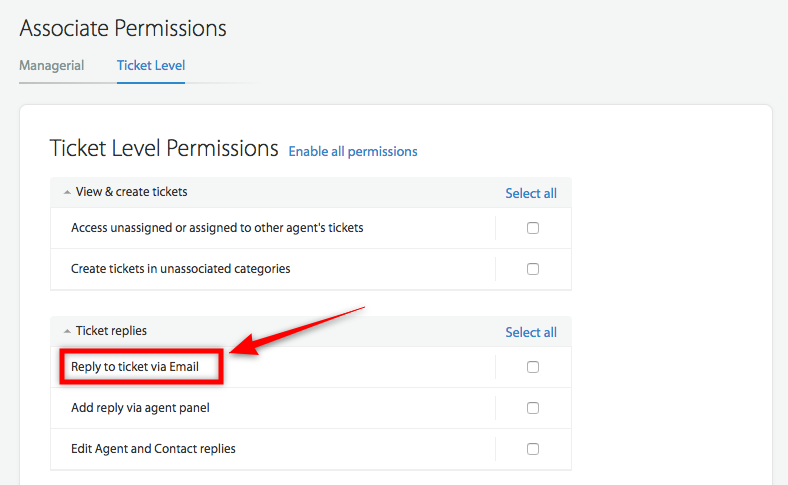 Helpdesk agent can reply to customers, by responding to the agent notifications they receive via email. (This option requires their Role to have the privilege "Reply to ticket via email"). 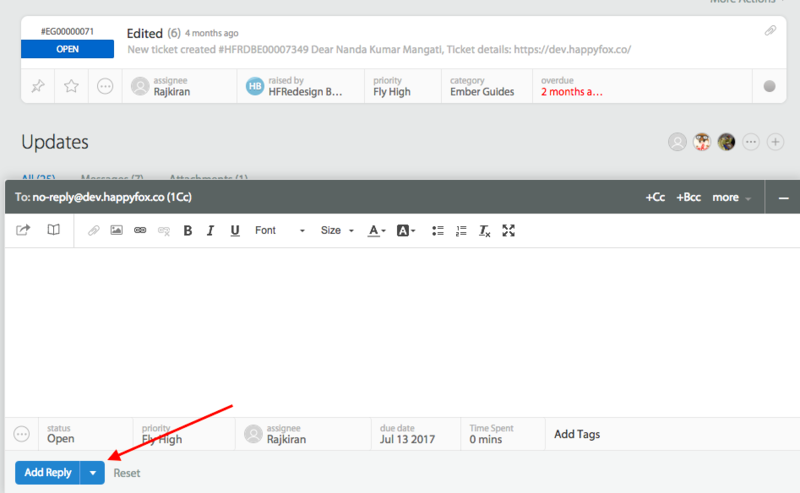 A notification is sent from HappyFox to the agent member's email ID, whenever a customer submits a new ticket or adds a response on an existing ticket. Rather than accessing the agent interface and sending a response via the HappyFox app, helpdesk agent can simply reply to these notifications. The response is sent to the customer and appended to the ticket within HappyFox, ensuring that email communication is tracked. In addition, certain ticket-level actions can be performed by adding a set of tags in the first line of the response.